Grandmaster Maurice Ashley was recently honored by the Town of Brookhaven for his immense contribution to the game of chess. 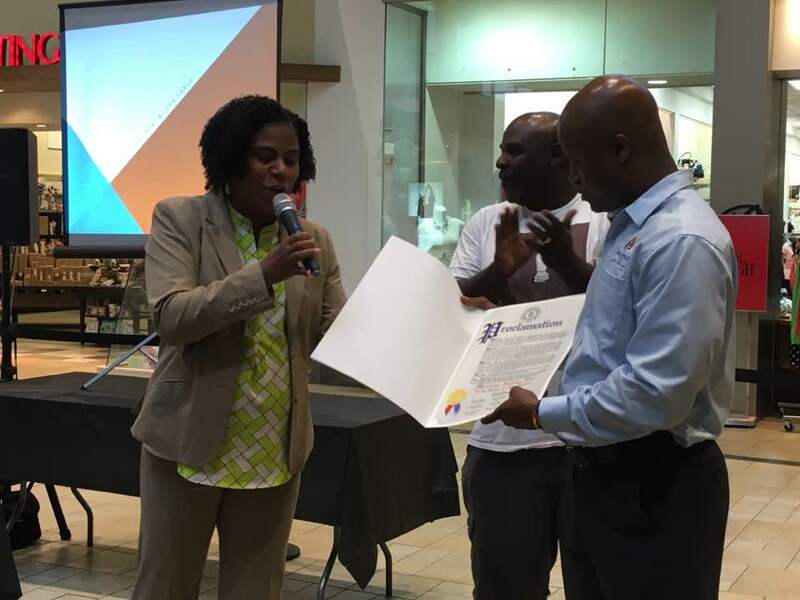 August 20 was proclaimed as Maurice Ashley Day in the town of Brookhaven. Below is the full transcript of the of the proclamation. Whereas: Maurice is the author of Chess for Success which outlines the many benefits of chess, particularly for at-risk youth, and continuously spreads his message of living one’s dream to universities, businesses, chess clubs, and non-profit organizations around the globe. His app, Learn chess! With Maurice Ashley, has been sold in over 30 countries, and he has received the multiple community service Awards from City government, universities, and community groups for his work. Whereas: In recognition for his immense contribution to the game, Maurice Ashley was inducted into the US chess Hall of Fame on April 13th, 2016. 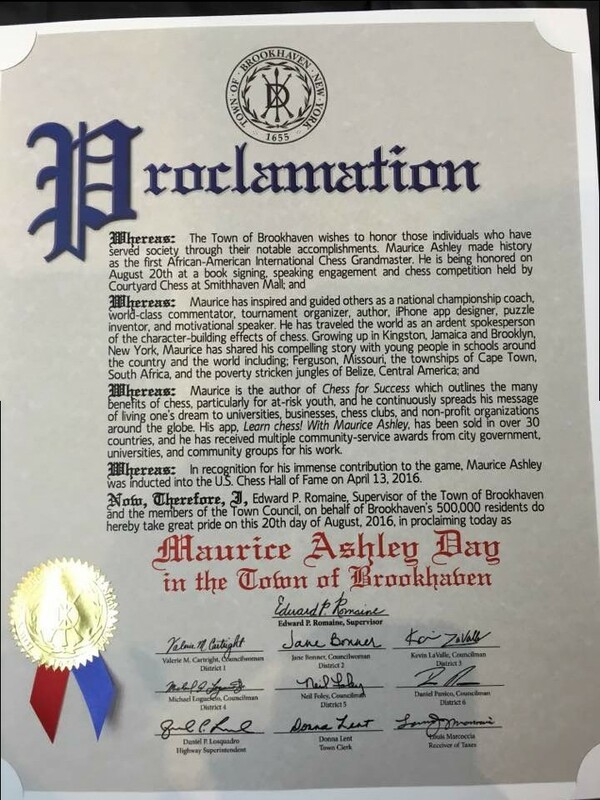 Now , Therefore, I, Edward P. Romaine , Supervisor of the Town of Brookhaven and the members of the town council, on behalf of Brookhaven’s 500,000 residents do hereby take great pride on the 20th day of August 2016, in proclaiming today as Maurice Ashley day and the town of Brookhaven. Grandmaster Maurice Ashley has August 20 named after him by the Town of Brookhaven.